International superstar Ricky Martin, The Voice of Pop Luis Fonsi, and the “Mother of all bands” Banda El Recodo De Cruz Lizarraga join the impressive list of previously announced performers for the 2014 Billboard Latin Music Awards presented by State Farm® that includes Andrea Bocelli, Laura Pausini, David Bisbal, Juanes, and La Arrolladora Banda El Limon De Rene Camacho. The longest-running and most prestigious Latin music awards show will be produced and broadcast live by Telemundo Thursday, April 24 at 7pm/6c from the BankUnited Center at the University of Miami in Florida. The complete list of finalists, in addition to exclusive content about this year’s event, can be found at Telemundo.com/PremiosBillboard. Fans can follow the excitement via: Facebook.com/LatinBillboards, Twitter.com/LatinBillboards and Instagram.com/LatinBillboards, using #Billboards2014. 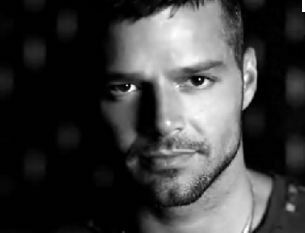 Grammy award winning and multi-platinum recording artist, Ricky Martin has sold more than 70 million albums worldwide including 95 platinum records, 40 gold records and has received multiple awards, including a GRAMMY and 3 Latin GRAMMY wins, a Billboard Latin Music Award, and 2 American Music Awards. In 2012, Martin spent the latter part of the year on stage as Che, a lead role in the Broadway revival of the Andrew Lloyd Webber and Tim Rice’s musical Evita. His recent collaboration with Jennifer Lopez on Wisin’s single “Adrenalina,” quickly made it to #1 on the Latin Billboard charts and the video has garnered more than 17 million views since its release in March. Recently, Ricky completed the music video for “Vida” a song chosen as the winner of Sony’s “Super Song,” competition for the Official Album of the 2014 FIFA World Cup. In February, Luis Fonsi released “Corazón En La Maleta,” the first single of his upcoming new album; and this week he unveiled the world premiere of the music video on Telemundo. With an artistic career that spans more than 15 years, Luis Fonsi, named “Leader of Latin Music’s New Generation” by Billboard magazine, has earned multiple platinum and gold record sales in Mexico, Spain, US, Puerto Rico, and elsewhere in Latin America. Fonsi holds the record for longest-running No. 1 on the Billboard Latin Pop Airplay list for “No Me Doy Por Vencido,” which spent 30 weeks at the top in 2008. He has six No. 1s on Billboard’s Hot Latin Songs chart and three No 1s on the Top Latin Albums chart. Banda El Recodo de Cruz Lizárraga started 2014 with the release of their new single “Consecuencia de mis actos.” They also returned in early March to their native Culiacan, Sinaloa, to perform for the first time in 10 years at the city’s world famous Carnival with more than 80 thousand fans witnessing a celebration of the group’s 75 year musical trajectory. Up for two awards this year, Banda El Recodo de Cruz Lizárraga is a finalist for Hot Latin Songs Artist of the Year, Duo or Group and Regional Mexican Songs Artist of the Year, Duo or Group. Banda el Recodo is not only one of Mexico’s most successful bandas, but one of the most eclectic, with a repertoire that features more than 178 records. The group that has taken Banda music to the international stage holds five No. 1s and 22 top 10 titles on the Regional Mexican Albums chart. On Regional Mexican Airplay, they’ve had 13 No. 1s, the fourth-most No. 1s of any artist on the chart. Since 2009 they’ve had seven singles which have consecutively reached No. 1. Their latest singles “La Mejor de Todas” spent four weeks at No. 1 and “Vas a Llorar Por Mi” was No. 1 for nine weeks; both reached the top 10 Hot Latin Songs chart. These musical acts join an already impressive list of previously announced performers for the upcoming 2014 Billboard Latin Music Awards that include: 2014 Lifetime Achievement Award honoree Andrea Bocelli, Global Pop music superstar Laura Pausini, Spanish Pop singer David Bisbal, Colombian singer and songwriter Juanes, and legendary Mexican music band La Arrolladora Banda El Limon De Rene Camacho. The awards show culminates the Billboard Latin Music Conference presented by State Farm®, celebrating its 25th anniversary in 2014. This conference, taking place on April 21 – 24 at the JW Marriot Marquis in Miami, Florida, unites today’s top Latin music artists and key Latin music industry influencers for four days of provocative presentations, panel discussions, exclusive Q&A’s with the hottest artists, compelling case studies, cutting-edge artist showcases, and exclusive networking events. Attendees will also have access to new panels, the new Billboard Latin Music Marketing Awards, Powered by CLIO and hosted by Telemundo and mun2, the Billboard En Concierto series and the popular Billboard BASH, featuring a new format and venue. For details on The Billboard Latin Music Conference, visit: BillboardLatinConference.com.